Aerial fightings over Belgium and France during 1940 Axis invasion. Dynamic campaign for an Armée de l'Air/RAF/Luftwaffe fighter pilot. This campaign is for SAS ModAct 5.30 and 4.12.2m. 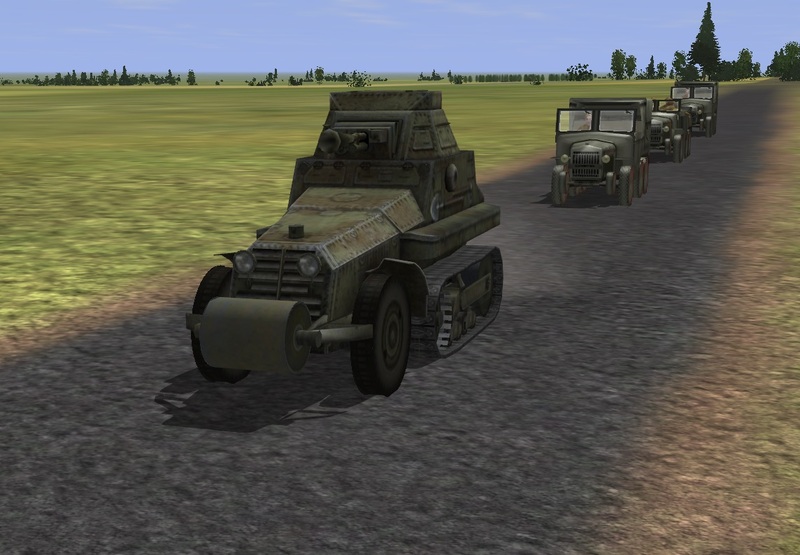 Requires: Vehicles - Tanks - Artillery France 1940 by Arsenal - v1.01, Bf-109 Ultimate Pack v4, LeO.451, MB.152 and F_Red’s (IES) Dewoitine 520 (links provided at the download page and inside the Readme file). Enable SAS Flyable AI Aircraft v5.30 by JSGME if you want to fly MS.406. - Slightly increased player's flight numerosity. - Revised Hs 123A-1 loadout. - Historically revised cruising speed and altitude of some aircraft. - Fixed wrong Hs 123A-1 mission tasks. - Featuring LeO.451 French bomber and MB.152 French fighter. - Corrected some airfield spelling. - (*)Replaced red ground objects with French ones. Thank you very much for the 4.12 version! Your campaign work is much appreciated!